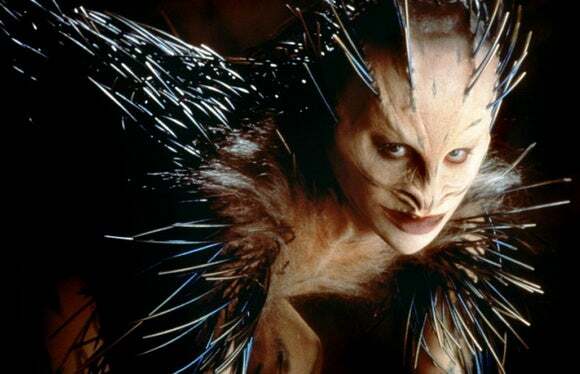 Horror author Clive Barker made a splash in the 1980s with his Books of Blood, officially endorsed by Stephen King as “the future of horror.” It wasn’t long before the creative Englishman began branching out into visual art and filmmaking. He wrote and directed the amazing 1987 Hellraiser, and followed it with Nightbreed (1990), based on his 1988 novelCabal. Though the theatrical release had been taken away and re-edited, Netflix now offers a recent director’s cut. 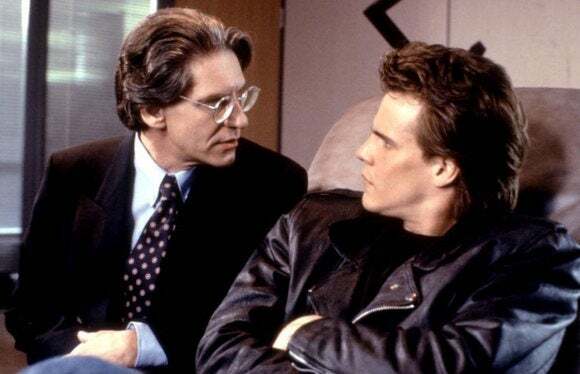 It stars Craig Sheffer as Aaron Boone, a man suffering nightmares about a monster-filled place called Midian. Gervais is usually a little too prickly for parts like this, but the celebrated writer/director David Koepp, whose produced screenplays include Carlito’s Way, Jurassic Park, andSpider-Man, somehow finds a lovely balance between familiar story beats and lingering moments in which the characters find their humanity. And Gervais manages a seamless transition from cretin to hero. Even the predictable outcome turns into a surprisingly touching ending. Alan Ruck plays a ghost and Kristen Wiig is particularly funny as a dental surgeon. For squeamish Halloween viewers, this movie could be an excellent October compromise. Horror anthologies are a long tradition in the genre, going all the way back to classics likeWaxworks (1924) and Dead of Night (1945). The low-budget, “found-footage” V/H/Sseries seems dedicated to all those horror fans who grew up watching those and other classics on that fuzzy, inferior, but somehow endearing video format. V/H/S (2012) begins as a group of young folks break into a house with the task of stealing a particular video tape. They pop several tapes on and watch five different creepy stories. V/H/S/2 (2013) follows police who are investigating the missing youths from the first film, and who also watch a batch of tapes. V/H/S: Viral (2014) changes things up a bit, playing less with video formats and going with the idea of modern “viral” videos, as well as the unhealthy obsession with filming everything. Zach Woods and Sarah Baker join Guest’s usual cast of improv geniuses, and Guest himself reprises his Guffman role “Corky St. Clair.” But the breakout discovery here is Susan Yeagley as Parker Posey’s blonde, gum-chewing sister, an airhead southern belle with grown kids (and a grandchild), but with a genuine sweetness that still turns heads.Mascots works where some of Guest’s other films did not because of this type of honest affection that occasionally, surprisingly, rears its head; he manages not to make fun of these wackadoodle dreamers, and instead celebrates their delightful art. 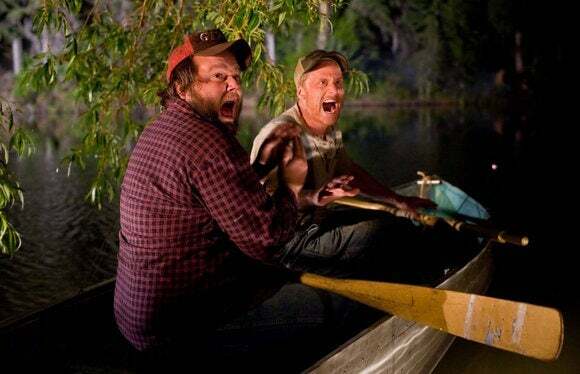 The movie isn’t as hysterically funny as Guest’s earlier work, but it’s more consistently funny; the energy doesn’t flag as the third-act competitions begin. Indeed, Mascots is perfect for Netflix, because it’s one I’ll be watching again. After making his most soulful film, Jackie Brown, Quentin Tarantino was absent from the film scene for six long years, finally returning with something quite the opposite: Kill Bill – Vol. 1 (2003) and Kill Bill – Vol. 2 (2004). It was originally conceived as a single movie, but it was split to keep the running time more manageable. 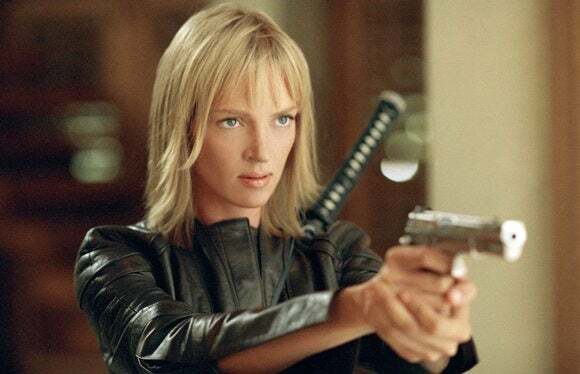 This revenge epic, in which the “Bride” character (Uma Thurman) vows to kill five former cohorts for wronging her, seems quite a bit shallower by comparison, but its huge canvas and its pastiche of films and genres from all over the world make it more like an incredible, enthusiastic essay on film. Even so, by the time it arrives at its revealing finale, it’s hard not to be moved by the Bride’s story. Ti West directed this, my favorite horror movie of the past ten years. The Innkeepers(2012) takes place during the final weekend of the Yankee Pedlar Inn, which is about to close its doors for good. 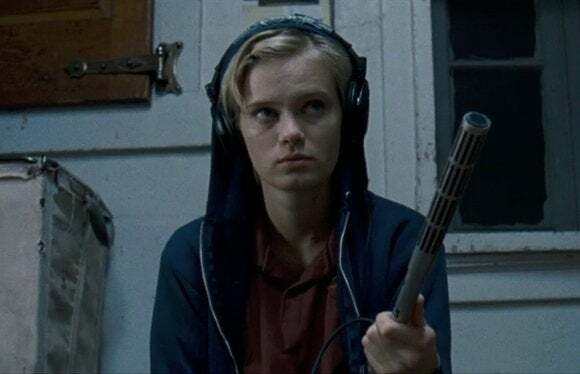 Two employees, Claire (Sara Paxton) and Luke (Pat Healy), have agreed to cover their shifts by spending the entire weekend there, sleeping in the empty rooms. Meanwhile, they hope to use the opportunity to find evidence of the hotel’s famous ghost, Madeline O’Malley. West’s approach is absolutely unique, establishing a playful relationship between the two co-workers, as well as some deeper, unspoken feelings. Each character is given a vivid personality, gleaned not only through dialogue, but visually as well. 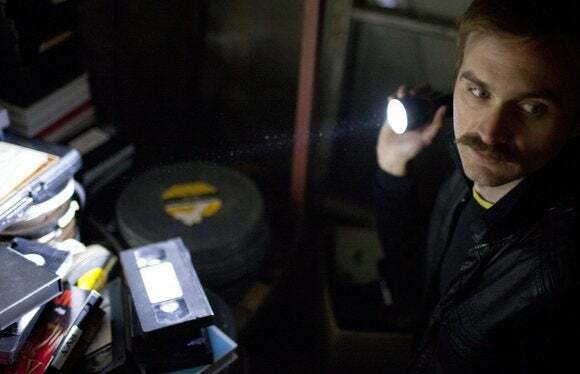 The movie is a slow burn, with West fully establishing the space and the situation, building a palpable sense of excitement and dread, before unleashing the scares; his camerawork and editing is smooth and confident, far above the usual, twitchy stuff we get in ghost movies. Kelly McGillis, that huge star from the 1980s movies Witness and Top Gun, appears as a retired soap star, Leanne Rease-Jones, staying at the hotel. (McGillis has had a recent comeback as a scream queen in this, Stake Land, and We Are What We Are.) West’s movie was a follow-up to his equally good The House of the Devil(2009), making him—for fans of chillers—a director to watch. Kurt Russell stars, in his third of five films with Carpenter, as R.J. MacReady, a helicopter pilot working at an American research station in the Antarctic. A dog makes its way there, pursued by armed Norwegians. The Americans rescue the dog, totally unaware of what it’s carrying. Carpenter heightened the paranoia of the story, creating a monster that could take the shape of anyone or anything, and enclosing the arctic setting so that the characters are constantly surrounded by cold and dark. They cannot leave their man-made compound, even though the terror could literally be around any corner. Wilford Brimley and Keith David also star. Although Carpenter usually provides his own musical scores, for this one, the legendary Ennio Morricone did the honors. A 2011 remake/prequel followed, but was deservedly forgotten. A different kind of “Thing,” Spike Lee’s Do the Right Thing (1989) deserves to be part of the national conversation again, given its appearance in the recent film Southside with You, as well as the controversial release of the new The Birth of a Nation. Nate Parker’s new film is a rabble-rouser without offering much chance to ask questions; Lee’s film is a rabble-rouser that dares us to ask questions. It takes place on a scorching hot day in Brooklyn, in the neighborhood of Bedford-Stuyvesant (or Bed-Stuy). 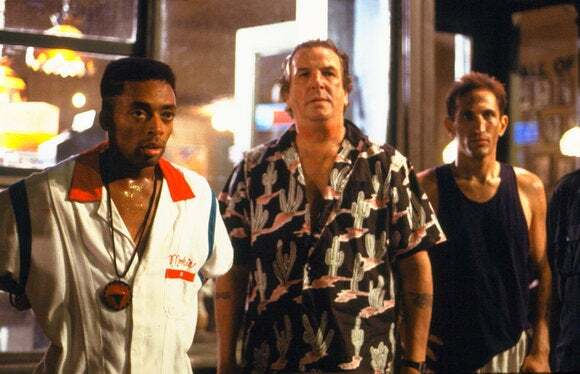 We meet many memorable characters, all with interesting things to say, but the main events center around pizza delivery man Mookie (Lee), Radio Raheem (recently departed Bill Nunn), and the pizzeria’s owner, Sal (Danny Aiello). As the day wears on and tensions rise, sometimes over race and racial misunderstandings, things come to a head as Radio Raheem enters the pizza parlor, blasting Public Enemy on his radio. The climax, an act of violence by Mookie, had commentators discussing the many sides of the story, as well as others fearing real-life riots if they went to see the movie. It all ends, famously, with seemingly conflicting quotes from Martin Luther King and Malcolm X. Lee’s screenplay and direction were masterful, using rhythms, music and color like a pro, and raising the tensions slowly, using humor and other tools. Frankly, for most of its running time, it plays like a comedy. It received only two Oscar nominations, for Lee’s screenplay and for Aiello’s supporting performance, in the year that Driving Miss Daisy won Best Picture. #OscarsSoWhite indeed. Many horror buffs know about the famous Italian master Dario Argento, but few have probably seen many of his movies outside of his great Suspiria (1977). When this movie was first released, it was chopped by some 30 minutes and re-titled Creepers (I owned a VHS copy). 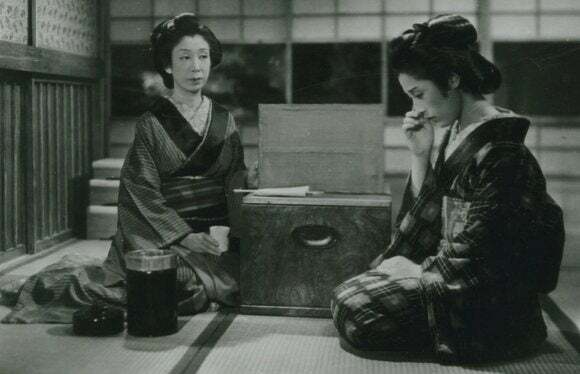 Since then, it has been restored to its full-length 116-minute version, as well as its original title, Phenomena (1985). The beautiful teenage Jennifer Connelly had been cast in her first movie role in Sergio Leone’s Once Upon a Time in America (1984), and it’s likely that Leone recommended her to Argento for his heroine Jennifer, a gifted young woman who can talk to insects. Jennifer arrives at an Academy for Girls in the countryside (not unlike the one inSuspiria), where several murders have already taken place, and she begins sleepwalking. She discovers the nearby laboratory of a forensic entomologist, John McGregor (Donald Pleasence), and his chimp. Together they begin to figure out the mystery, but not before Jennifer gets herself involved with tons of maggots, a fly attack, and other creepy things. Argento was more of a master of atmosphere than storytelling, so it takes more than a little suspension of disbelief to get behind all this, but it’s worth it. The unsettling music score is by Goblin, but the movie also features tunes by Iron Maiden and Motörhead. 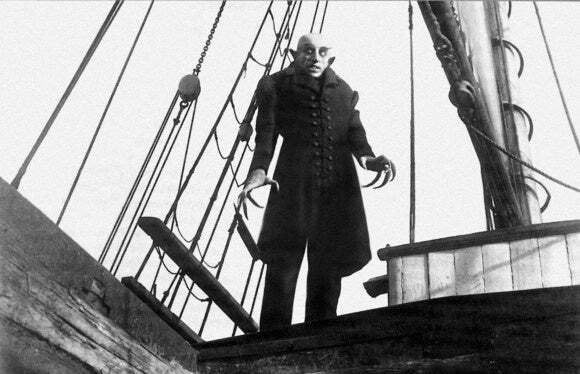 The Cabinet of Dr. Caligari came a couple of years earlier, so Nosferatu (1922) isn’t the first great horror movie, but it’s probably the earliest one that’s still genuinely unnerving. Director F.W. Murnau is today considered the greatest master of German Expressionism in cinema, using odd angles, sets, and designs to indirectly suggest emotions. For this film, Murnau decided to tell the story of Bram Stoker’s Dracula, simply changing the names of all the characters. Stoker’s widow found out about it, sued, and tried to have all the prints destroyed; fortunately, she failed. A better film of Dracula has yet to be made. The vampire is now Count Orlok, played by Max Schreck in rat-like makeup. He’s so creepy that an entire feature film, Shadow of the Vampire (2000), starring Willem Dafoe, was made on the suggestion that he was actually a real vampire. Shots of his silhouette, rising from his coffin, or traveling through a mysterious “negative” film exposure still have the power to make your blood run cold. Many musical scores have been composed for the film for various DVD releases, but Fandor features a gorgeous, full orchestral one, and also an unbelievably rich, high-definition transfer that has to be seen to be believed. Murnau only lived another nine years, dying in an auto accident in 1931 at age 42, but he made many masterpieces in his remaining time, including The Last Laugh, Tartuffe, Faust,Sunrise, and Tabu. Each of these are worth checking out.